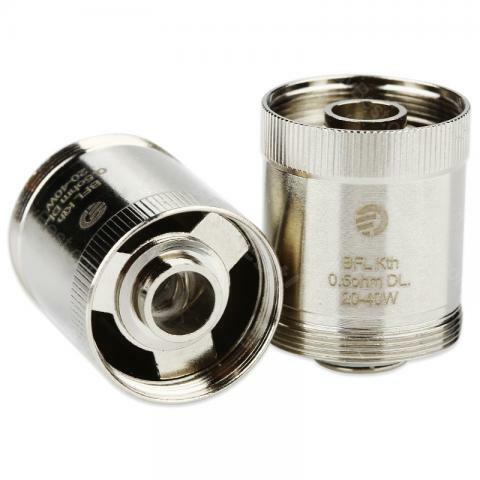 The Joyetech BFL Kth DL Head is especially designed for UNIMAX 22/25 Atomizer. It works well in direct-lung (DL) inhales situation. • It's compatible with Joyetech UNIMAX 22/25 Atomizer. Delivery is fast, 25.02 made order-6.03 parcel already delivered. Packed well. Seller recommend. The order will be delivered quickly, less than 2 weeks before The Moscow region. Well packed in a bag, box wrapped in a thick layer of bubble film, just a crush box, but the evaporators are not affected. Original vaporizers. Hovering well. Seller and goods rekomanduyu Thank You Very Much! Joyetech BFL Kth DL Head is a 5pcs/lot Original Joyetech BFL&BFXL Coil for UNIMAX 22/25 Starter Kit.